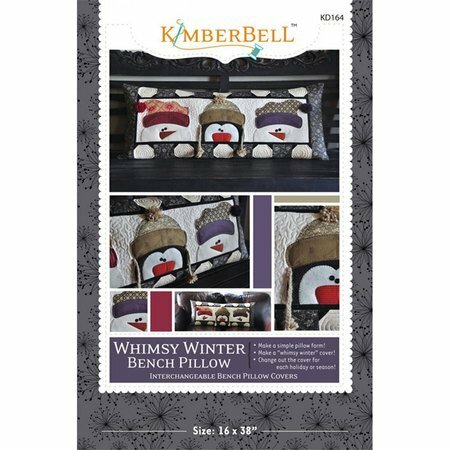 This Whimsy Winter Bench pillow cover is just one in a series of interchageable bench pillow case. 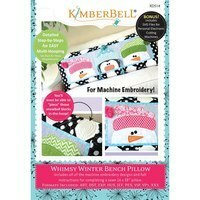 Instructions include pattern for making a bench pillow form and a festive pillow case with three snowmen. Finished measurements 16" x 38".